You know ASM negotiates the best possible telecom agreements, but you might not realize how we help clients lower costs or boost revenue in other ancillary services areas. ASM is their “go to” partner for help with laundry room contracts, trash pick-up, ATMs and more. Recently we’ve partnered with Cox Business to help clients with their internet, video, security and phone services. We spoke with Jason Lewis and Alex Arnz and found out more about them and how they help MDU owners and property managers (PMs) handle changing technology issues. Chili – Jason let’s start with you. Your title is Business Agent Channel Manager, a pretty complicated title, we’ll begin with a simpler job I should be able to understand. What was your first job ever? 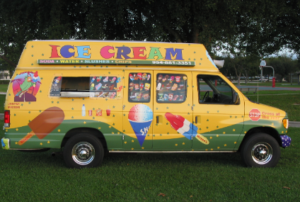 Lewis – Well, growing up my father had an ice cream truck. When I was eleven, and when my grades were good enough, (my parent’s requirement) he let me work with him. Usually working is not something a kid looks forward to, but when it’s an ice cream truck, c’mon. Chili – Wow, sounds like a great gig, even if you got paid in Klondike Bars and Choco Tacos. So how did you make the leap to Cox, which I don’t think has any ice cream products? Lewis – I studied natural resources at NC State, (we regularly beat your Dukies in football but didn’t fare so well in hoops) which prepared me for mining the prospects of residential customers in my first Cox job in door-to-door sales. You really learn the business talking with hundreds of prospects like that. Chili – Our clients know the Cox MDU team, because many have marketing agreements, but you work with the Business Team. Do those two groups work together? Lewis – Absolutely, we have a motto called “One Cox”, which sounds like it was cooked up by our PR team, but we really believe in it. We recognize customers don’t make distinctions between internal Cox departments, so we need to help regardless of where in the company we work. Alex is one example of how we do this; he transferred from the MDU team to business services. This gives him insight into both customer groups, so he can talk more about that. Arnz – On the MDU marketing side we help PMs increase their video and internet customers so they garner higher revenue share payments. But we also engage them in a bigger conversation about their overall goals. We understand their main goals are to increase occupancy and enhance the resident experience and we work with them to help them meet those goals. Now on the business services side, I use that knowledge so they assemble the right mix of office and common area internet/TV and phone services. We make recommendations on everything from firewalls to security services or even the best way to handle fitness area TV service. There are so many new amenities in MDU communities; it is challenging for PMs to stay up on all the associated technology. Chili – Most PMs are so wrapped up with urgent issues it is hard for them to track those technology advances. So, you suggest they work with Cox to complete a community review to save them time. I know one review uncovered phone service set up years ago, which still charged for long distance. Even if there aren’t obvious savings like that, is it worthwhile to carve out time to work with you? Do you have examples of how you assisted a community? Arnz – Sure. We just helped a 300-unit northern Virginia property with a review of their “call directory boxes” (common area panels allowing resident access/ability to buzz up visitors). We adjusted their phone service and saved them $980/year. When we expand a review and include all their services in a community, we’ve saved larger clients that much money in one month. Chili – MDU technology (called PropTech in the industry) changes so rapidly, with new services and price changes all the time. How often should owners/PMs look to evaluate these technology services? Arnz – Two things come to mind. First, is the contract expiring soon for your more expensive services (since you want to prioritize them). You are a free agent then, and open to new offerings. Second, put an annual review/reminder on your calendar. Although you still might be too busy to do it – it might nudge you into giving us a call. We can save you money while also ensuring you have the right mix of services and don’t miss out on the latest offerings. Chili – Thanks for the free plug on watching those contract expirations. A key benefit ASM provides for clients is monitoring expiration dates and tracking payments and for their telecom marketing and other contracts so we appreciate you mentioning that. Arnz – Well, it is your newsletter. Arnz – Maybe running a Chick-Fil-A franchise. I love the way they treat customers, and everything is based on a family feel for the business. 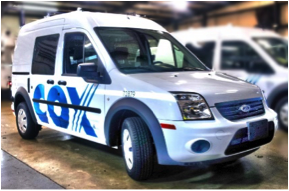 Most people don’t know Cox is also a family-owned company and we have a similar approach and business philosophy. Chili – I’d be a customer. Chick-Fil-A is a favorite in our family. Sounds like a good day – eating at Chick-Fil-A and then hitting up the ice cream truck for dessert. Chili – Let’s wrap up. You mentioned all the services Cox can provide for MDU communities. Is there anything Cox can’t help them with? Lewis/Arnz – We can’t think of anything. Can we get back to you on that? Chili – Okay. I guess you made your point. Thanks for your time today. Although Cox can help with a wide range of services there are some communities in areas outside of Cox’s service territory. ASM can connect clients with help in across the country, so we can assist you wherever you are located.